Those were the words drilled into my head when I first started figuring out this whole “online marketing” thing back in 2012 and ever since, I have been looking for the best email marketing software. And you know what? Not much has changed since then. Email marketing is still one of the best, if not the best way to reach your audience on a level that no website or social media marketing can offer. And it’s even immune to animal-loving Google penalties. The key difference is that you actually own your list, and, more importantly, you own the relationship you have with that list — which is what makes it so friggin’ valuable. And once that oh-so important realization sinks in, another one slowly creeps up on you. The facilitation of that list. Despite how much emphasis I put on the ownership aspect of an email list, there’s one gatekeeper that should always be part of the equation. That’s right, your email marketing tool. What Exactly Is An Email Marketing Software? An email marketing tool is the engine that powers your list. Ultimately, it’s an end-to-end solution for email marketing and email newsletters, and it’s one of the few tools that are an essential component of any online business. Before we get into the meaty stuff, let’s talk about some typical use-cases for email marketing and why any of this even matters. There are a few types of email marketing campaigns that a reliable email service will allow you to send out to your list as a small business. Often in the form of a welcome email or sequence that you send to new customers in order to familiarize them with whatever it is they have purchased or enrolled in. Could be a new product announcement, a new blog post, an upcoming event, a webinar reminder, or maybe even changes within the company. Almost always an email, or sequence of emails sent to new leads in order to prime them for upcoming promotion material. This could be a barrage of tips, a freebie, or even relevant storytelling. Anything that encourages an action, or more commonly, a form of payment from the reader. A common example of this is a sales sequence, promoting the launch of a product. Usually a very simple, one-off email such as a thank you email, payment confirmation, webinar registration confirmation, etc. This isn’t a complete list by any means, but it does cover 99% of use-cases and will provide the basis of our comparisons throughout this post. Frankly, I could have added dozens of tools to this list, but we’re all about deep analysis and I wanted to make sure we release this post before the next millennium. So, I took what I believe to be the 7 most common, most popular email marketing tool companies and proceeded to tear them apart. The good news is most of them offer free trials so feel free to sign up for several of them of pick the one that matches you the best. ActiveCampaign is an intelligence-driven email marketing platform and sales CRM that first came about in 2003. AWeber is the original list-based email marketing service going all the way back to 1998. It’s now used by over 120,000 businesses. Constant Contact is the oldest email marketing software in this roundup, with the first iteration of its tool available in 1995. It’s now owned by Endurance (who also owns Bluehost). ConvertKit is a blogger-focused email marketing tool developed by Nathan Barry, and it was made openly available to the public in 2015. 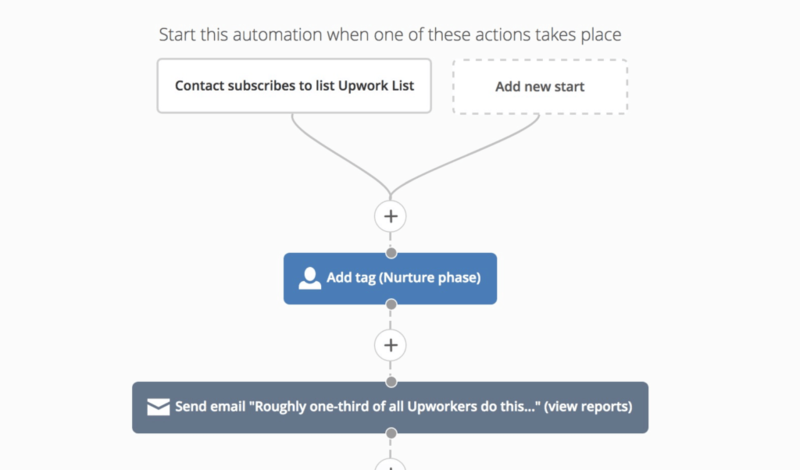 Drip is an email automation focused marketing tool from the guys over at LeadPages. GetResponse is another mature email marketing service and all-in-one marketing platform that came about in 1997, now with over 350,000 customers. MailChimp is a very popular, beginner-friendly email marketing tool that has seen rapid growth since all the way back to 2001. At this stage, you understand the different tools available and what they have to offer, as well as specific ways you might use these in your marketing effort. Before we get into the comparisons, let’s kick it up a notch and talk about what you should actually be looking for in an email marketing software. Unfortunately, as with most tools nowadays, there’s a ton of hype around flashy-featured solutions, and it’s so easy to get sucked in by email marketing features. When it comes to email marketing software, there are really only a few key factors that’ll move the needle for you, and once you know what they are, you’ll be in a much better position to pick out the right tool for your business. The “system” refers to how the tool handles, and more importantly, segments contacts on a fundamental level. Not all that long ago, this wouldn’t have even been a comparison factor because almost all email marketing tools were list-based, meaning that each of your subscribers would be assigned to a single marketing list. The problem with list-based email systems is that it puts all your contacts under one umbrella, which limits the relevance and effectiveness of your communication to anyone on that list unless you go through cumbersome list management processes. With newer tools implementing a tag-based system, it became infinitely easier to segment and target subscribers in various ways, by manually or automatically assigning tags based on contact behaviour. 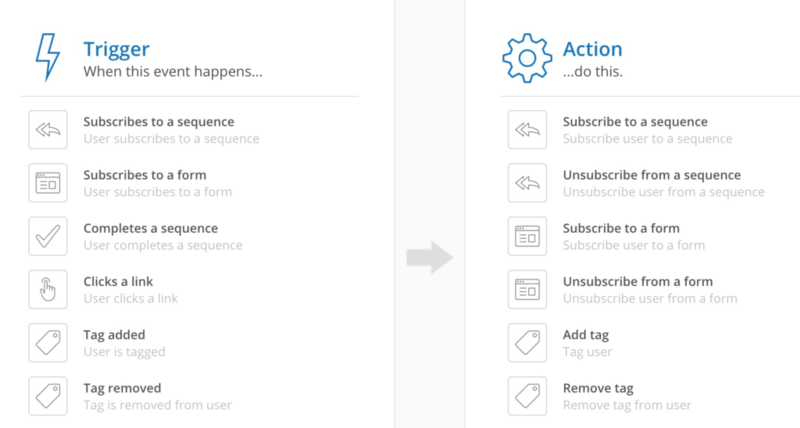 ActiveCampaign utilises tags for everything from organization, automation triggers, and even conditional segmentation. ​AWeber has now implemented a tagging system, though it’s still quite rudimentary in comparison to it’s competitors. 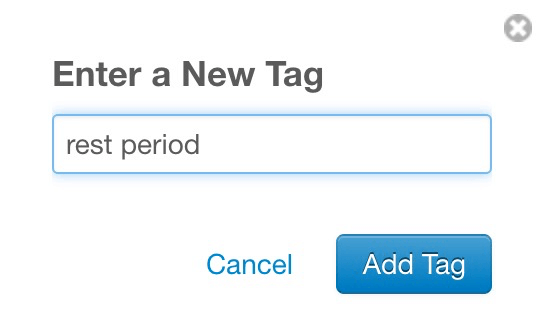 Constant Contact does allow tagging, but it doesn’t venture far from the basic functionality. It’s also not the most intuitive. ConvertKit has built itself around the idea of being a tag-based system and, as a result, it works well for both segmentation and automation. 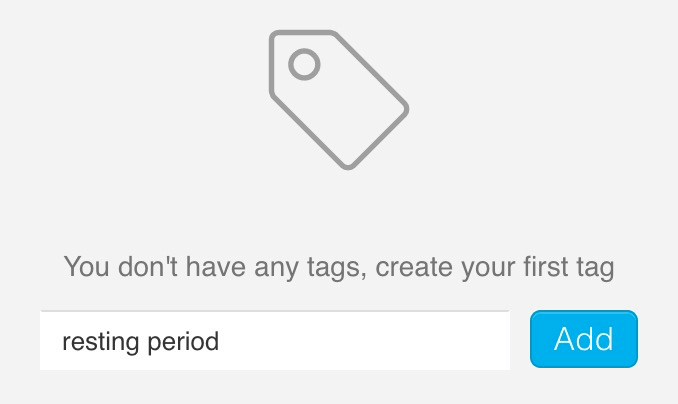 Drip is also very tag-focused with a strong emphasis on automated segmentation. Really impressed with it here, actually. 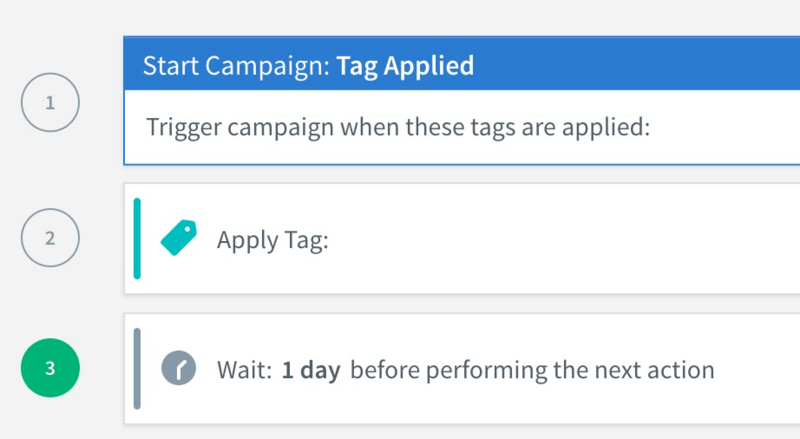 GetResponse offers a robust tagging system, especially in the way of tag-based automation. No manual tagging, though. 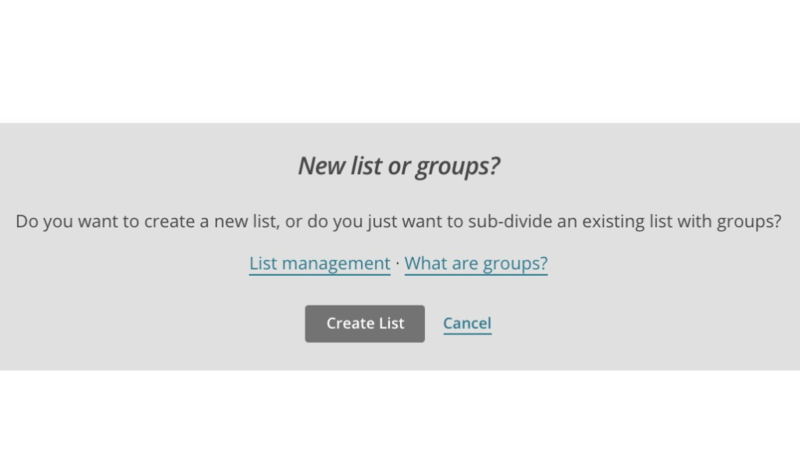 MailChimp uses ‘groups’ and ‘hidden fields’ for segmentation, but these are still not quite as efficient as tags. Overall very list-centric. Easily one the most important factors in this entire comparison is “email marketing automation”. This incorporates everything from drip campaigns (also known as autoresponders) to advanced automation triggers and conditions that take your email marketing to a whole new level. Combined with a tag-based system, this kind of automation tools allows you to not only categorize subscribers based on behaviour, but also create intelligent marketing campaigns that, when used properly, will literally skyrocket your conversion-rate. 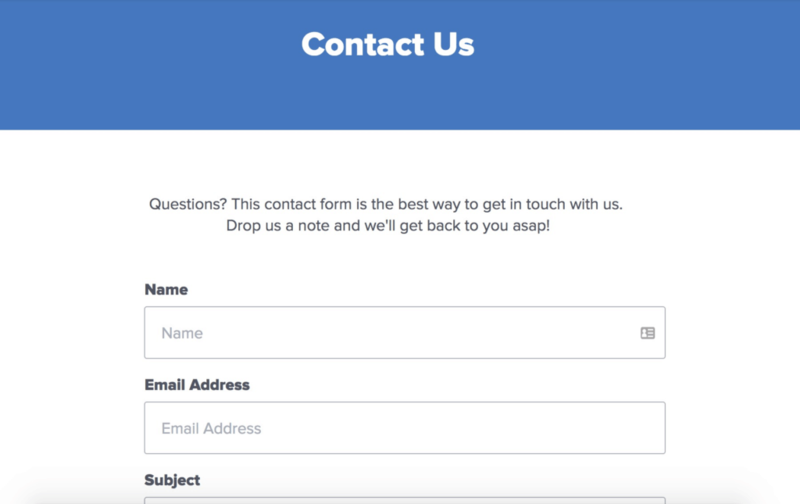 A contact visits your sales page but doesn’t buy, so you send out a follow-up email to bring them back to the page (and perhaps a mini Q&A to answer common concerns). A visitor subscribes to your email list but doesn’t open the lead magnet they signed up for, so you send them a reminder to download the freebie. A subscriber has been on your “list” for exactly 1 year to the day, and you have an automation set up to send out a thank you email (telling them how awesome they are). A subscriber reads a blog posts that ties in nicely with one of your products, but hasn’t yet bought the product — so you a trigger an email sequence with the goal of pitching your product. 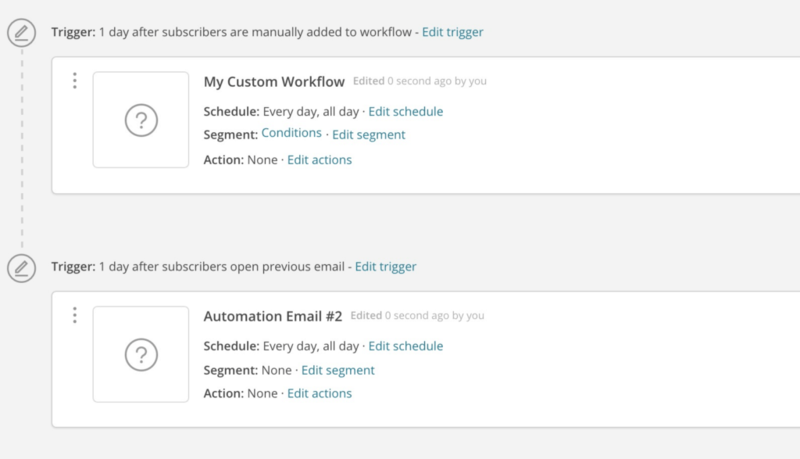 Conditions: set conditions that allow you to split your automations and segment subscribers on the fly. 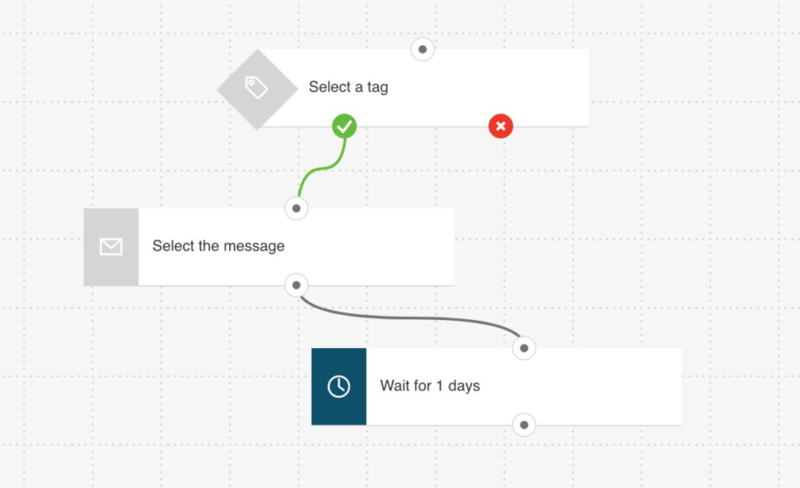 ActiveCampaign is excellent for building complex marketing automations, though I almost want to deduct a point for the sluggishness of the workflow builder. AWeber offers very basic sequence automation, and while the builder is both fast and intuitive, it doesn’t allow for any form of conditional segmentation (only runs linearly). ​Constant Contact is seriously lacking in the automation department. The best you’ll find here is the ability to set up a basic autoresponder. 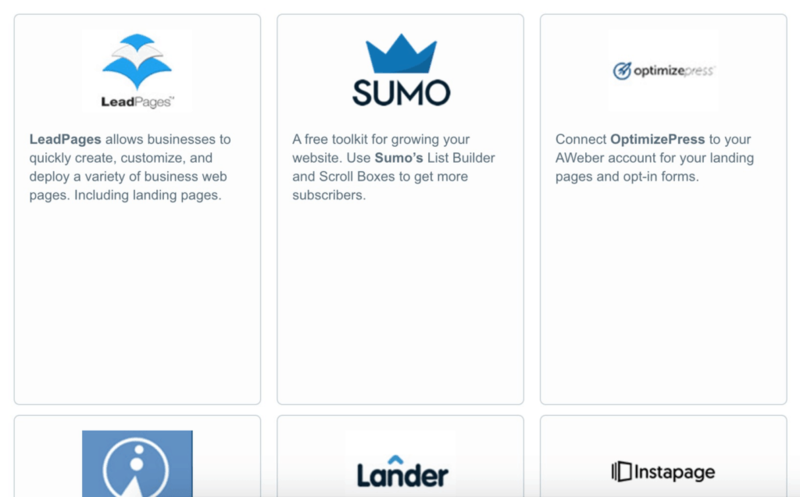 ConvertKit offers the most user-friendly marketing automation builder I’ve seen without sacrificing (too much) on functionality, though it’s not quite as flexible as ActiveCampaign or Drip. 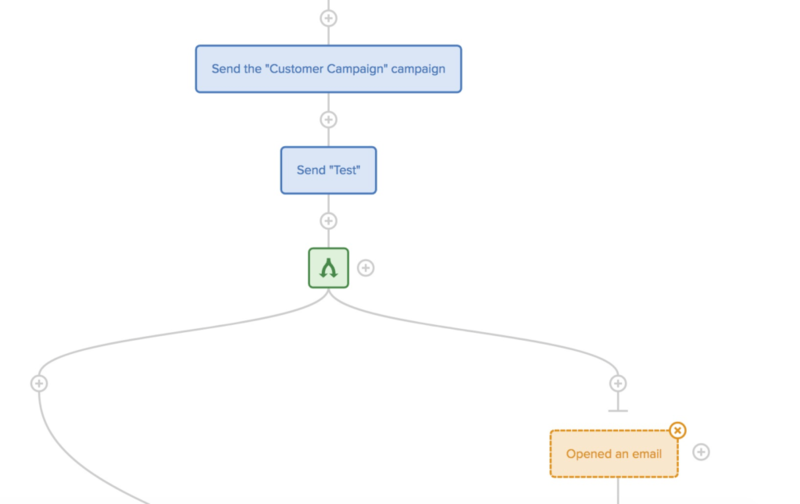 Drip’s marketing automation builder is both powerful and easy to use, and while it’s not quite as feature-rich as ActiveCampaign, it is a lot faster. GetResponse goes a step beyond some of the other alternatives here, but the marketing automation builder did feel a bit clunky at times. MailChimp’s marketing automation, like AWeber, only works linearly, which makes it very difficult (if not impossible) to create advanced automations. 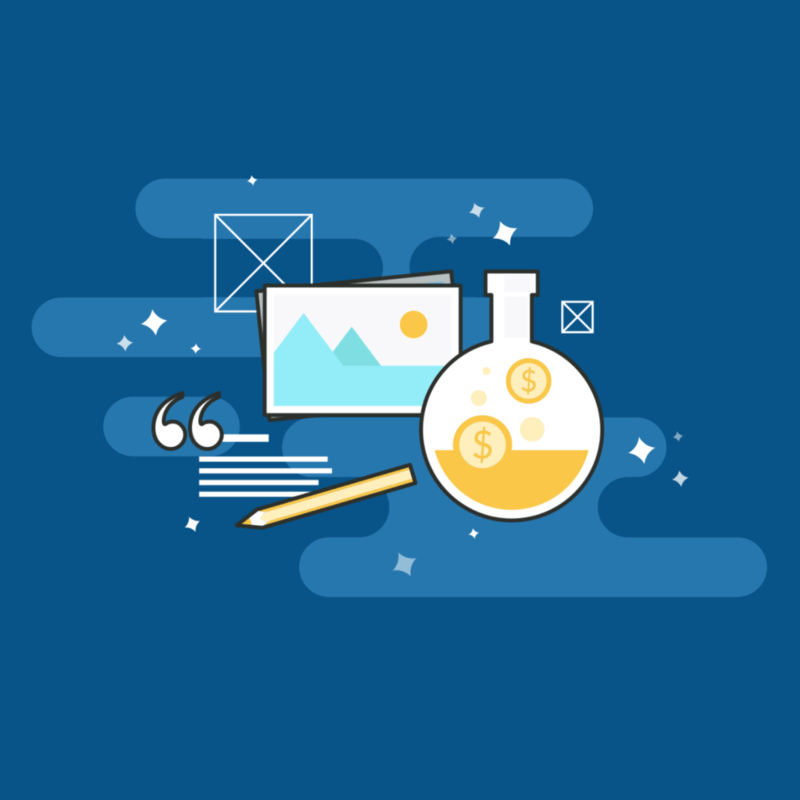 And while not every campaign should be subject to rigorous testing, there are scenarios, like during product launch sequences, where split-tests can lead to significantly more revenue for your business. 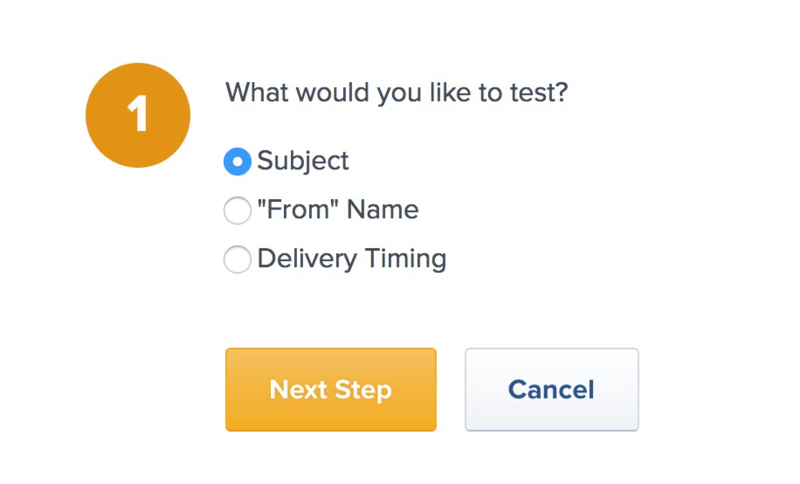 There are a few moving parts when it comes to running these kinds of tests, and it’s important your email marketing tool is able to facilitate those things in order to really maximize the power of A/B testing. Versatility: test everything from the subject line, the call-to-action and even a different design of the same email. Types: run tests for different campaign types, whether that’s a standard campaign or a drip campaign. 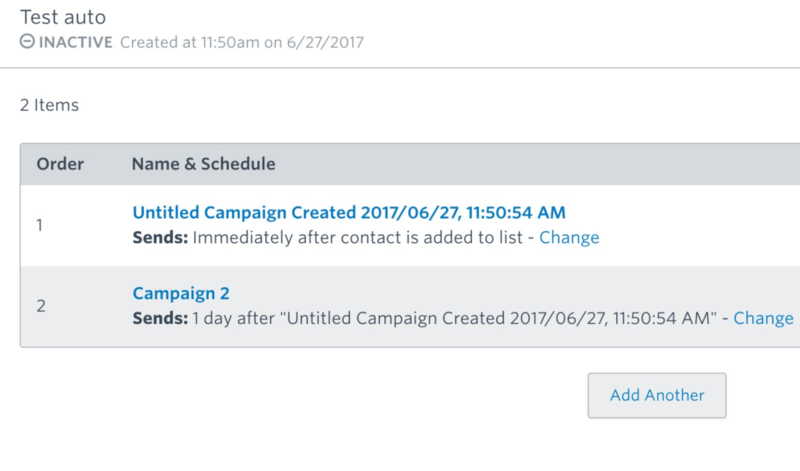 ActiveCampaign allows you to split-test everything from campaign emails, autoresponders, and even automation workflows. I was unable to find any way to run a split-test test within AWeber, even on a basic level. If it’s there, they clearly don’t want you to know about it. Despite multiple requests from users dating back several years, there’s still no A/B testing functionality within Constant Contact. 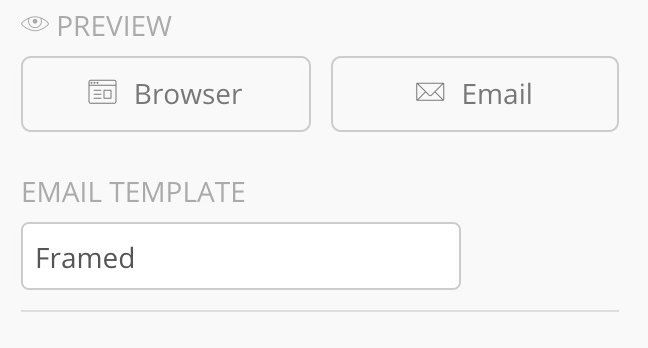 ConvertKit lacks some functionality in this department. 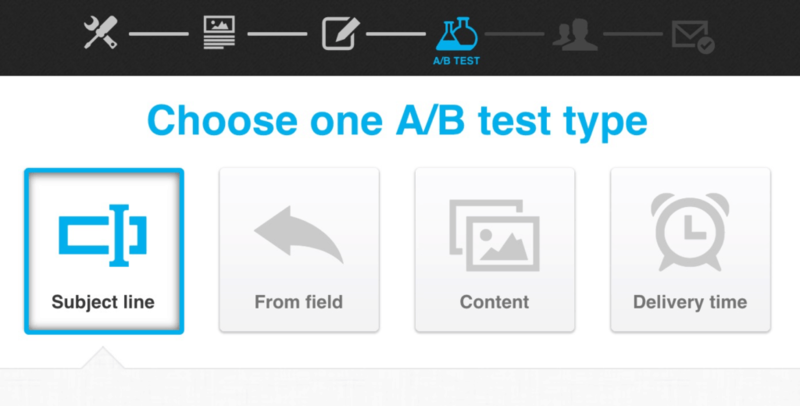 Currently — and only as of recently — it allows you to A/B test your email subject lines. ​Drip does have some basic split-testing functionality built-in, but testing actual email content requires a complicated workaround. 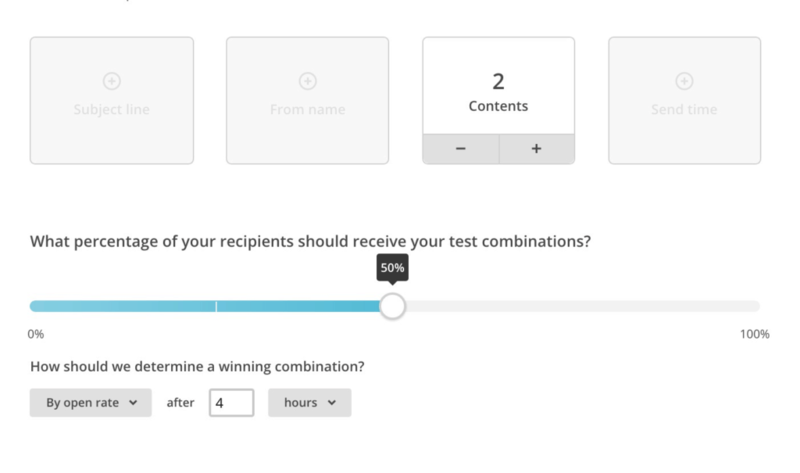 GetResponse allows you to A/B test subject lines, the sender identification, delivery time and, most importantly, specific email content. 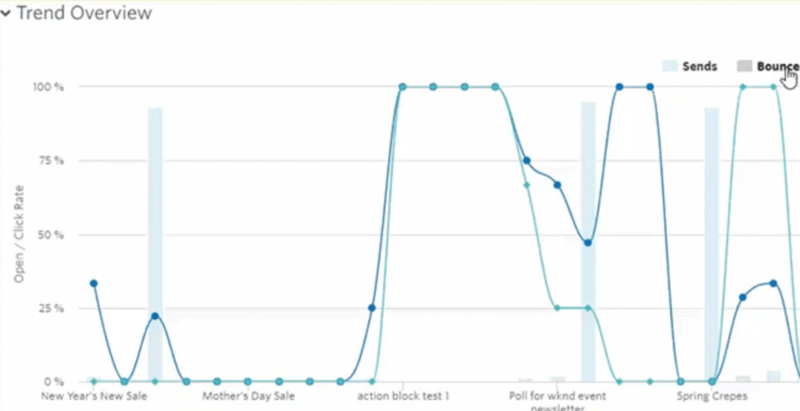 ​MailChimp supports A/B testing for subject lines, from field, delivery time, and content. I really liked it, but no support for split-testing automations. 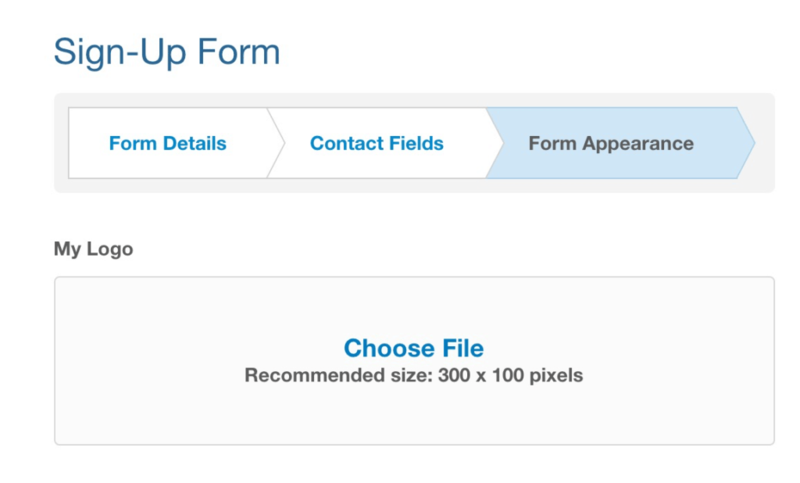 You can’t generate leads without a form, right? And while not everyone will rely on their email marketing service provider for lead generation, for now, we’ll be moving forward on the assumption you don’t have access to tools like Thrive Leads or Lead Pages. Now, I won’t blabber on with this one since form building isn’t exactly rocket science, but I will clarify the core elements we’re looking for here. 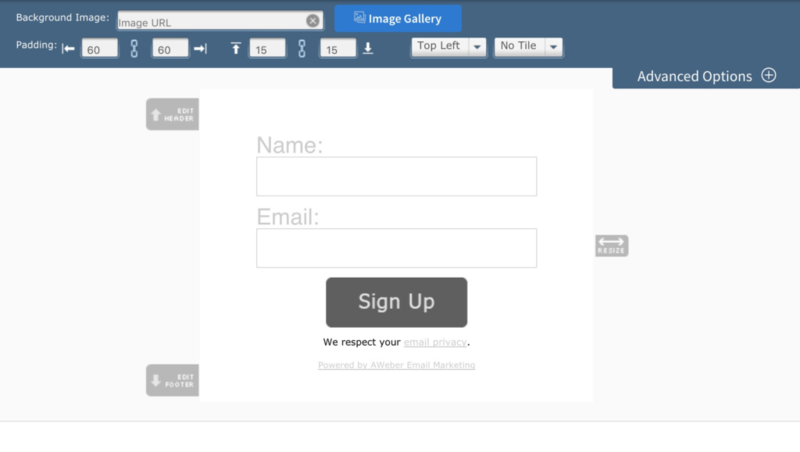 Simplicity: It shouldn’t require a degree to understand how to build the actual sign up forms (and visual form builders tend to work a lot better in that respect). Design: With third-party builders especially, it’s important to have control over the look and feel of your form so that it fits in seamlessly with your sites design. 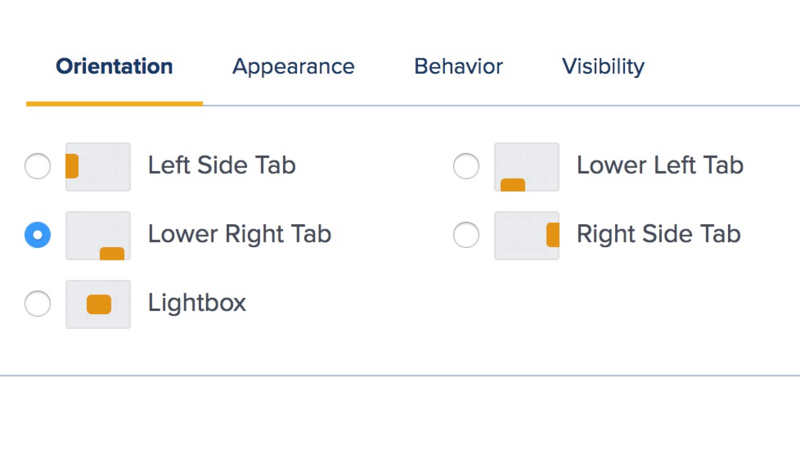 Functionality: Being able to create and test different form types – like slide-ins, overlays and popups – will help to increase conversions. 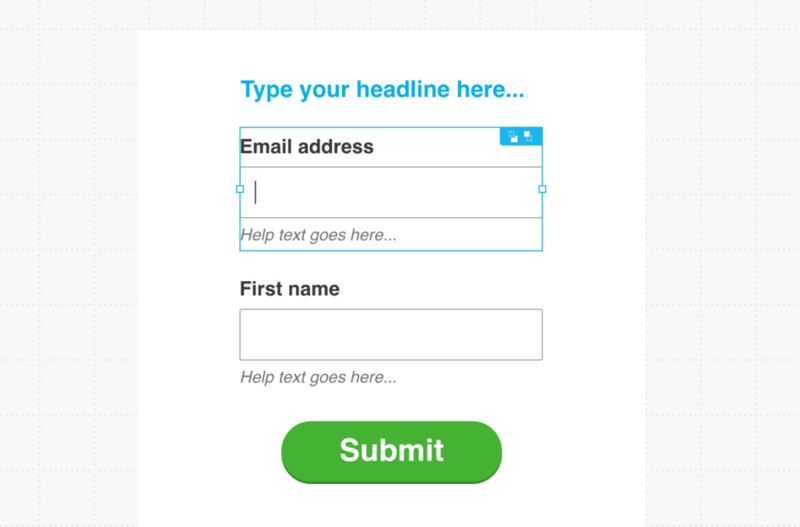 Implementation: Building the form is one thing, but embedding that form into your page should be equally as smooth. Nobody likes a broken form. Unless you’re willing to shell out for higher tier plans to get access to more form types and remove branding, ActiveCampaign is pretty weak here. Just good enough to get by with, but given the quality of the templates and the lack of form functionality, I really wasn’t impressed. 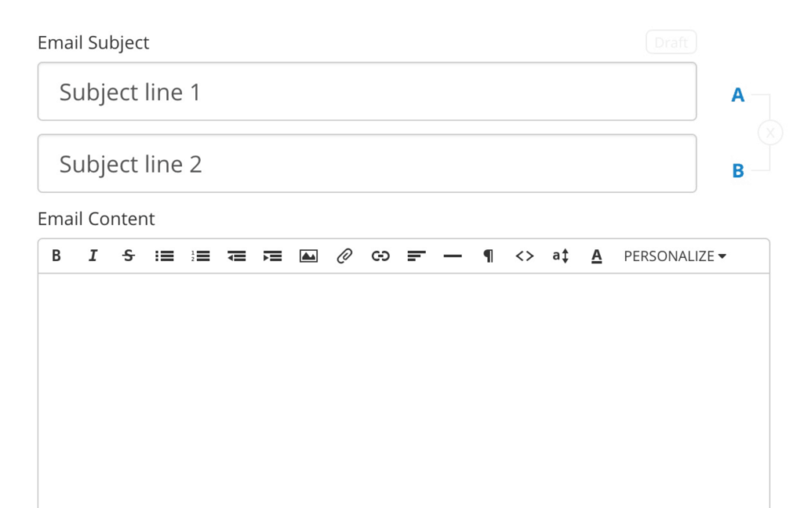 ConstantContact not only lacks form types, but it gives you almost zero control over the look and feel of your form. 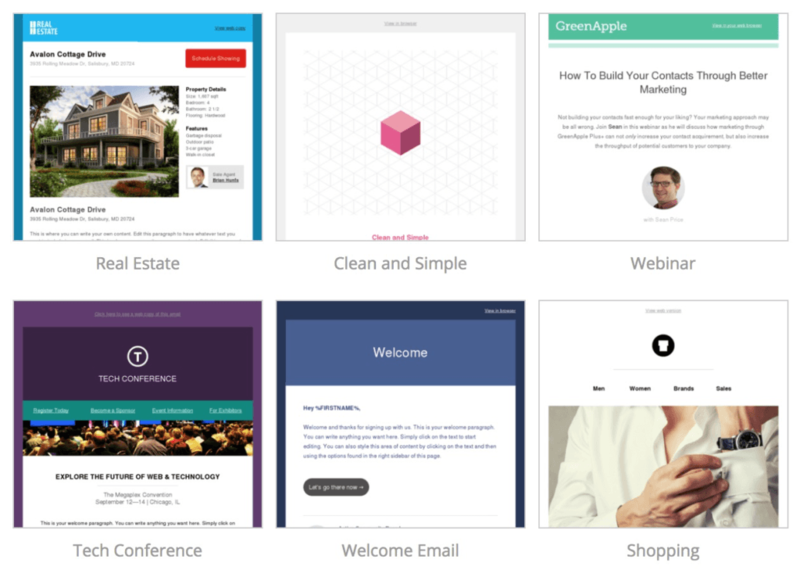 ​ConvertKit allows you to build different form types (inline, modal, etc), as well as entire landing pages. The design options are a bit weak, however. 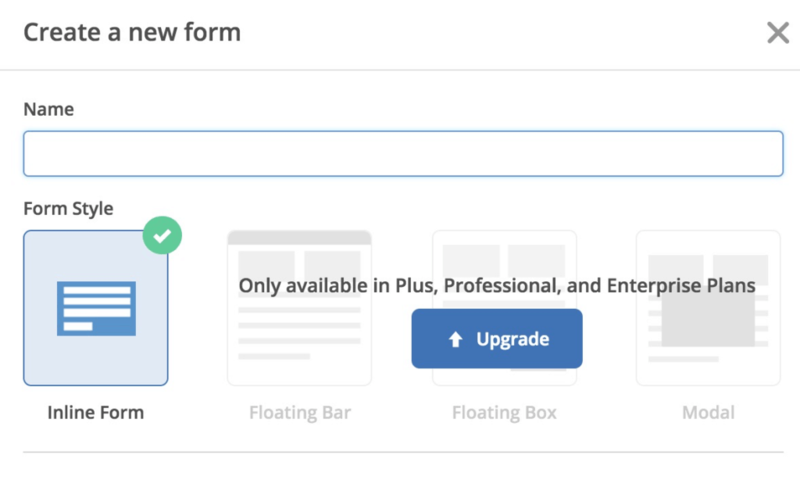 ​Drip’s form builder allows for plenty of form types, as well as control over form behaviour and visibility. The design aspect could be better. 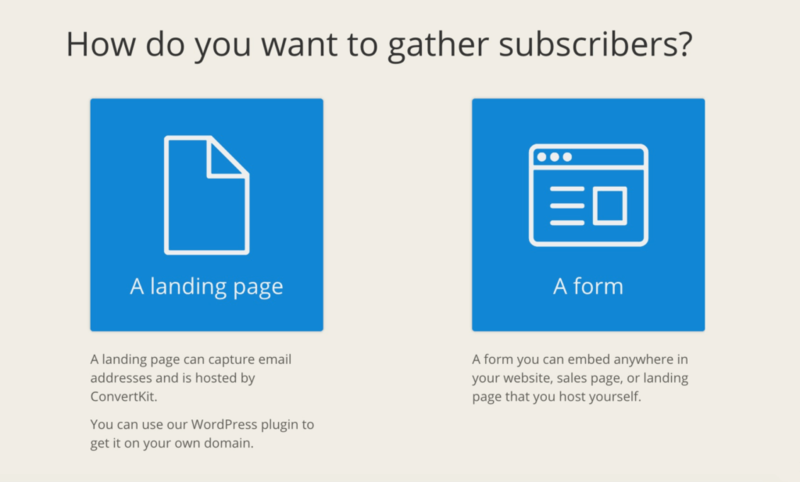 GetResponse had a surprisingly solid form builder and you can also build out full landing pages with it. No options for form behaviour, though. 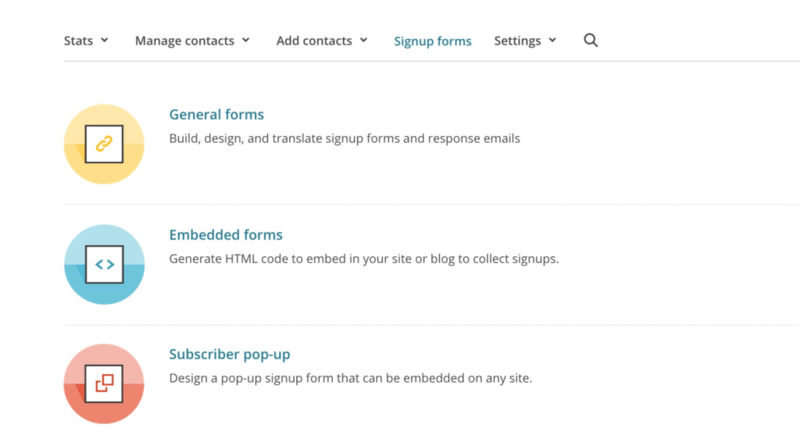 MailChimp offers the ability to create general inline forms, embeddable forms and also pop-ups. The form builder was very “average”, however. 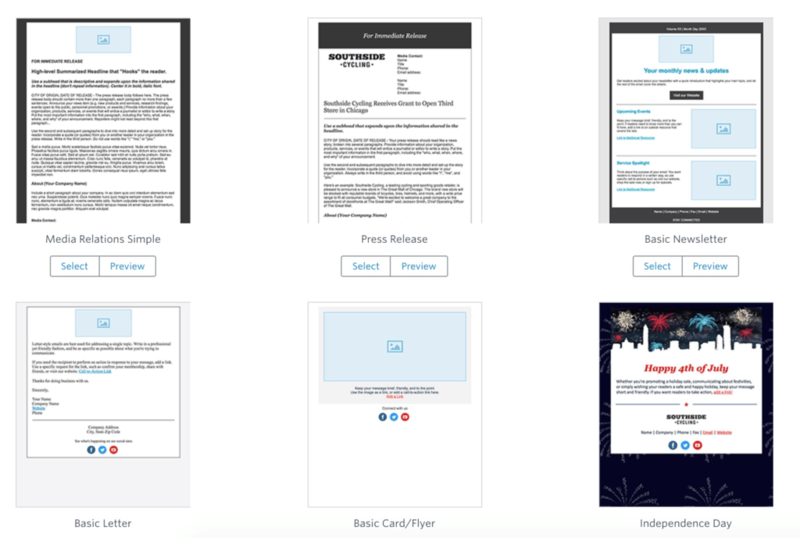 Email marketing templates are not only HUGE time-savers, but they allow you to maintain brand consistency for every email you send out. Again, I won’t go on about it because you already know why templates are valuable, so let me just give you a breakdown of what we’re looking for in this particular comparison. If you’re like me and you prefer the “raw marketing email” approach that doesn’t require a template, you can, of course, put less weight on this factor as part of your decision process. 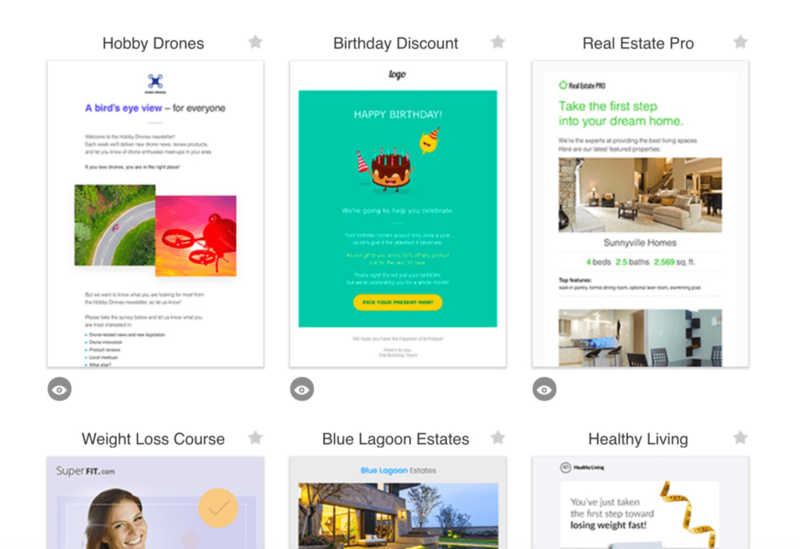 ActiveCampaign provides a reasonable selection of email marketing templates, and the drag and drop email builder isn’t too bad either. Some hiccups here and there. 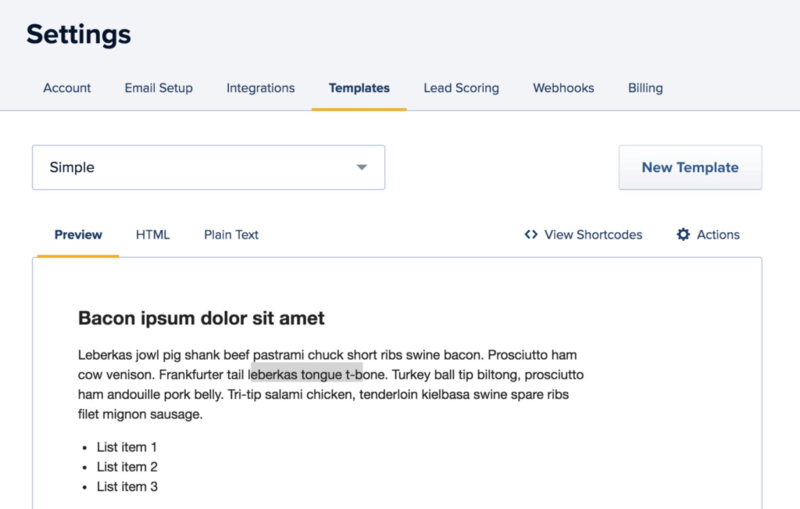 AWeber gets point for the sheer number of marketing templates it offers, but I found most of them pretty ugly and the editor difficult to use. 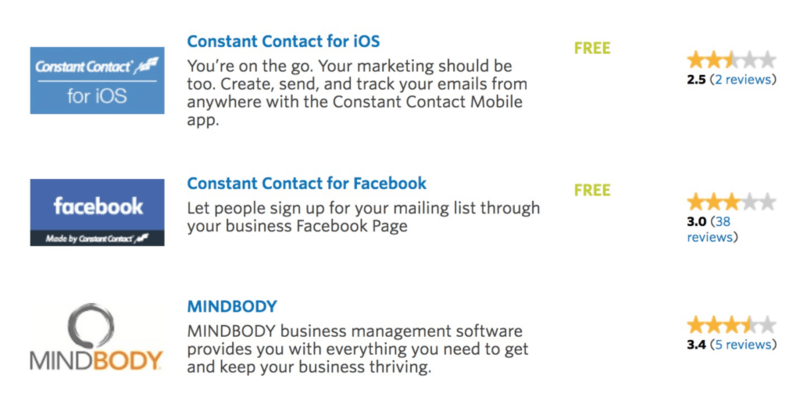 ConstantContact delivers in terms of template selection, though I felt most of the design were dated. The editor was also surprisingly good though. Very limited templates and customization options. You can hard-code your own HTML templates with variables, however. Drip doesn’t even bother to offer a marketing template library. Instead, you’ll need to code your own templates from scratch if you want anything fancy. GetResponse comes loaded with a huge marketing library of (actually half-decent) templates across various industries, though I found the editor a little hard to work with. 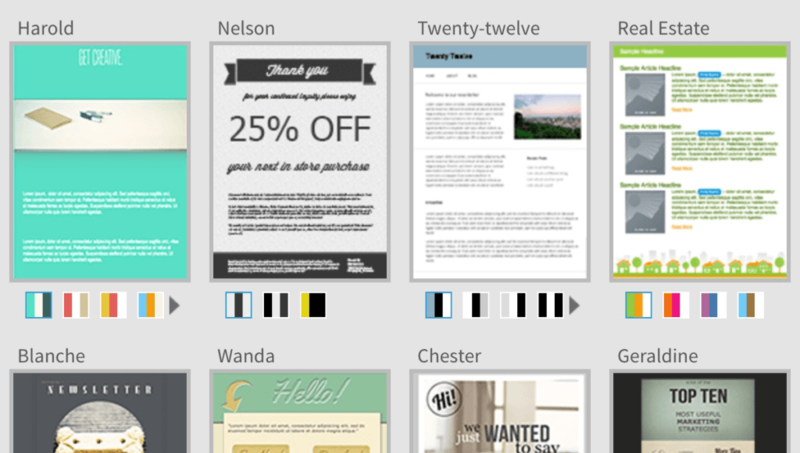 MailChimp allows you to choose between layouts and themed templates — which were all well designed. The editor didn’t let me down, either. Most online businesses these days are built on a number of different tools and services, and it’s more important than ever that those components can communicate effectively with one another. As it happens, email marketing is possibly the best example of why this is so crucial, and there are literally dozens of possible ways to integrate an email marketing software with different tools and services. Run a drip campaign to certain prospects within a customer relationship management (CRM) tool, like SalesForce. 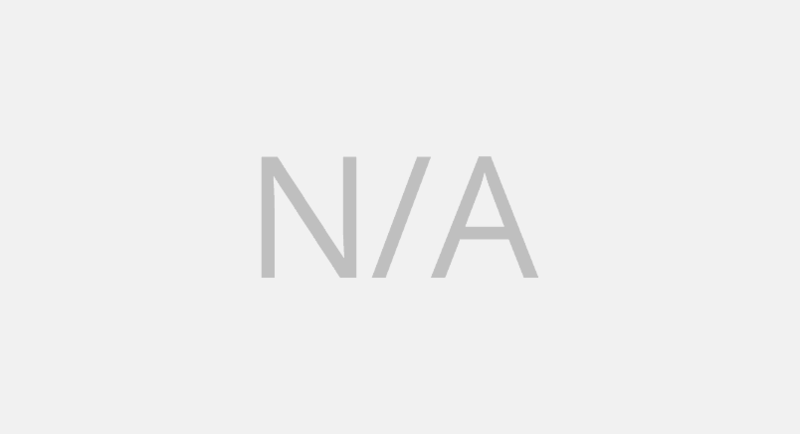 Add a relevant tag to target subscribers who purchased a product through a third-party shopping cart platform, like ThriveCart. 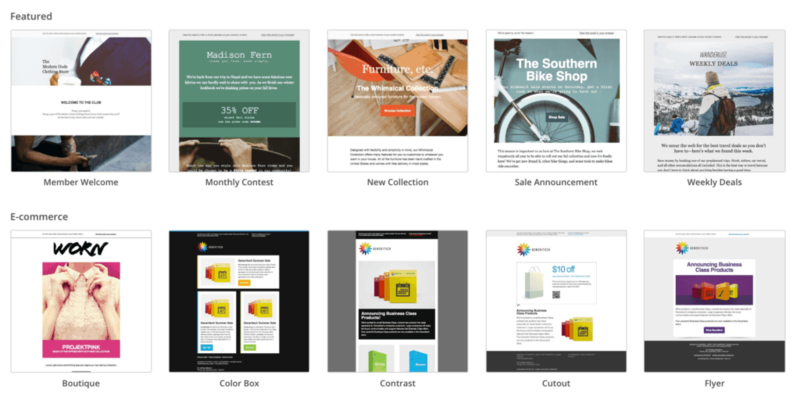 Design a landing page with a third-party page builder, like Thrive Content Builder, and have your email marketing tool capture those emails. In order to make any of that work, you’ll need an email marketing software that integrates well with popular third-party applications. 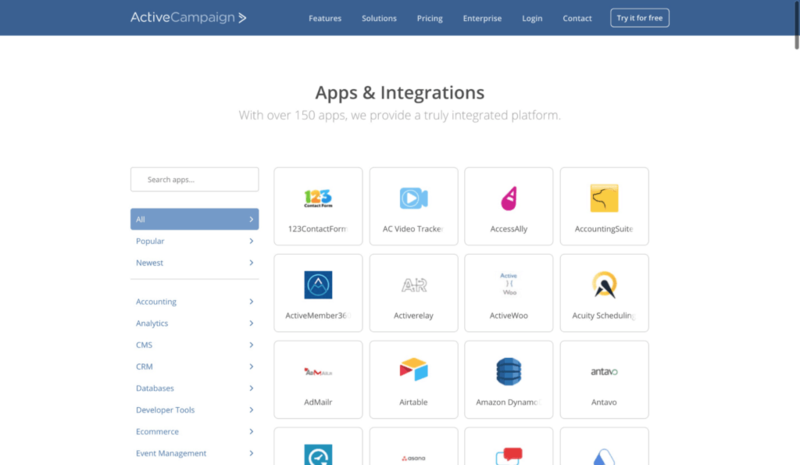 ActiveCampaign integrates with 150 different apps and marketing services, including support for Zapier integrations. ​AWeber integrates with 180 different apps and services, including support for Zapier integrations. 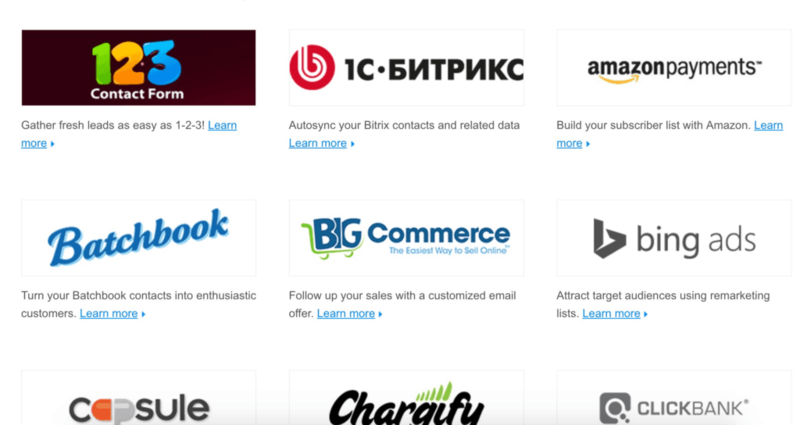 Drip integrates with around 70 different apps and services, as well as integration with Zapier. GetResponse integrates with 177 different apps and services, as well as integration with Zapier. 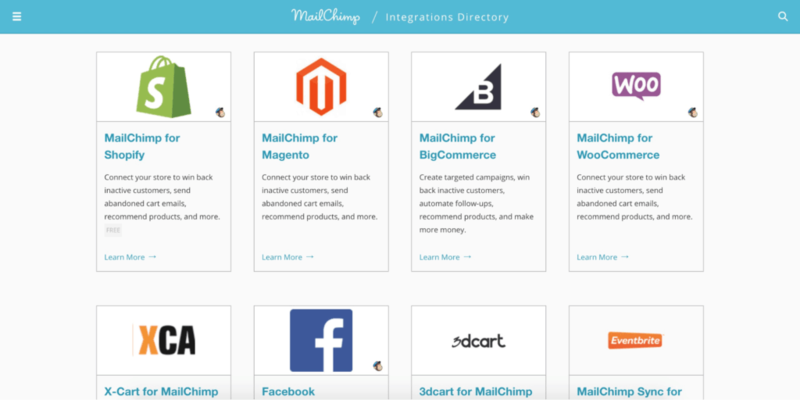 MailChimp integrates with a massive ~700 different apps and services, and is by far the most supported EMS. 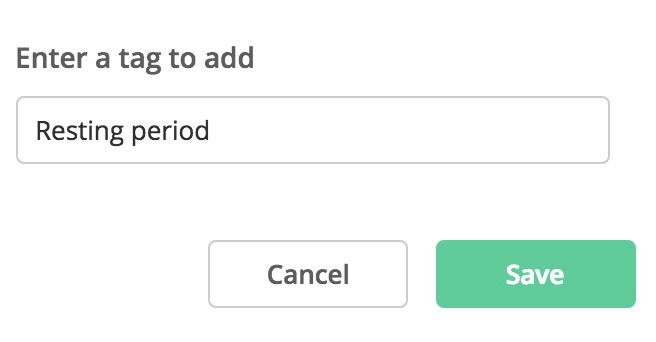 Also allows for Zapier integrations. This is something I tend to include with every tool-type comparison, and let’s be honest, no email marketing tool would be complete without reliable tracking and reporting built-in. And I’m not just talking about checking your open-rates to make sure they’re up to scratch. While that is a good starting point, there’s potentially a lot more analytical data you can use to improve your email marketing effectiveness. These types of reports offer insights that allow you to make better email marketing decisions, like sending emails at peaks hours, and choosing the right A/B test variation. ActiveCampaign let’s you really drill down into the numbers and offers plenty of visuals to go along with it. Again, it could be faster. They also automatically add Google Analytics tags to email links. ​AWeber’s tracking and reporting offering was actually pretty decent on the whole. Very little on the automations side, however. ​It’s not terrible if you’re just looking for standard reporting features, but if you like to geek out on campaign data, you’ll be a little disappointed. While ConvertKit may not have the most advanced reporting of the bunch, it manages to stay true to its simplistic nature and I really couldn’t help but like it anyway. Drip goes above and beyond with not only the amount of data you can pull in, but just how well presented and consumable it is as a whole. A little basic, but GetResponse does have some interesting functionality here, including real-time tracking, smart reporting, and even ROI tracking. ​MailChimp absolutely nails the visual aspect of their reporting environment, and it certainly doesn’t fall short on comprehensive data and interactivity, either. Some plan limitations. The quality of support and customer service has long been a deal-breaker (or deal-maker) when it comes to choosing between competitors, and you guessed it, the same applies here. Email marketing can be especially complicated when you start factoring in advanced automations, and for most people, reliable support is one of the biggest selling points. ​ActiveCampaign’s website is loaded with how-to articles and videos for virtually every aspect of their platform. They also offer live chat support during business hours. 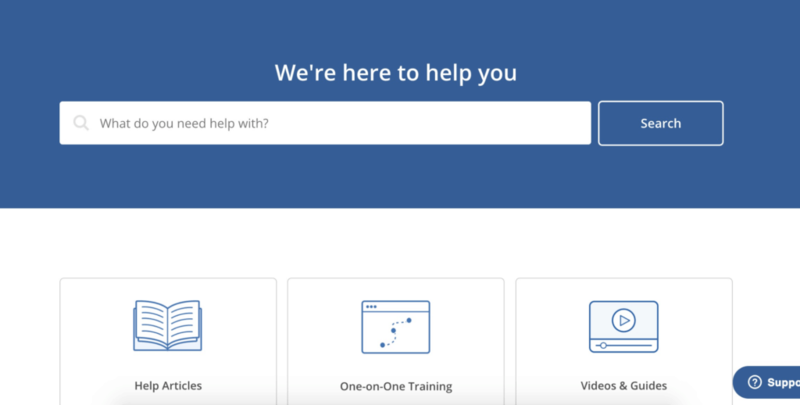 AWeber has a bunch of video tutorials, as well as a toll-free number and live chat during specific hours. Some of their stuff could use an update, though. Constant Contact offer comprehensive FAQ’s, similar video walkthroughs, live chat, phone support, and even a native community forum. No Facebook group, though. 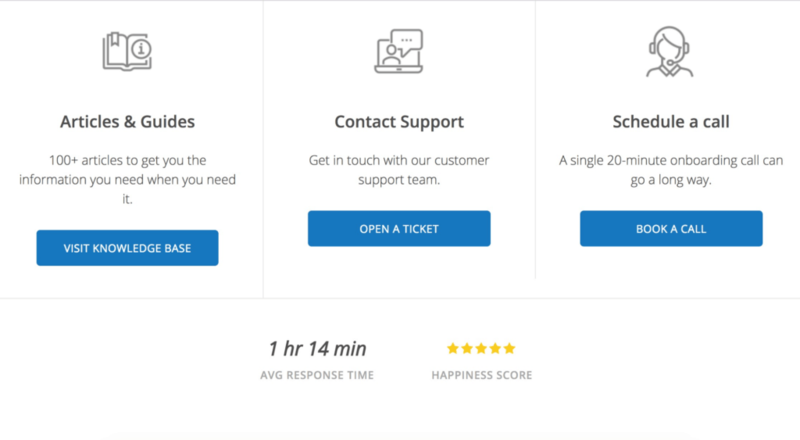 ConvertKit places a lot of emphasis on the quality of their support, even claiming to have a 1 hour, 14 min average response time. Live chat has also recently been rolled out. 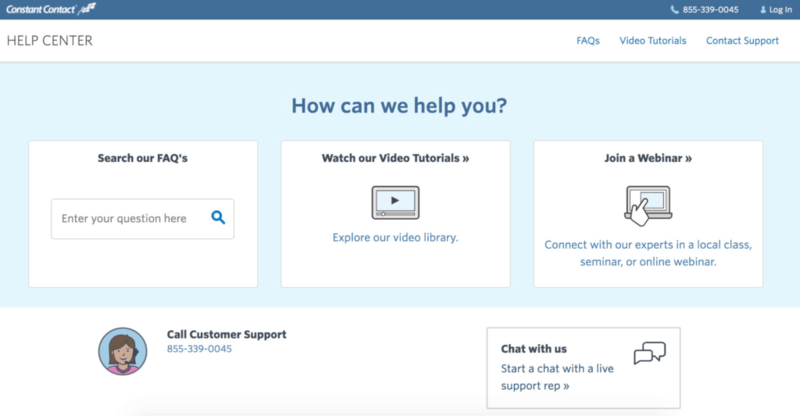 Several support channels available including live chat during hours. No phone support and free plans do get limited support, however. GetResponse offers a wide range of support, including email, phone, live chat, and a huge library of supporting documentation. Couldn’t find any community, however. 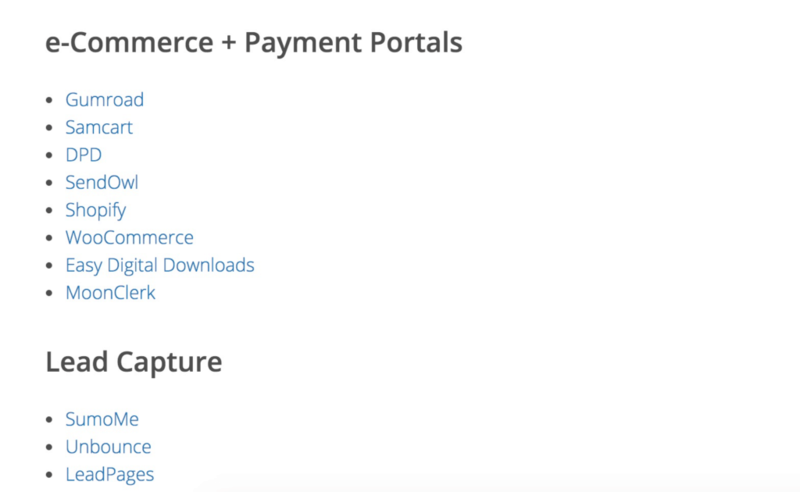 MailChimp provides some very thorough documentation within their knowledge base, as well a ticket-based support system and live-chat. So now we’ve covered the crucial aspects of the best email marketing tool, we can start to paint a broader picture of how these popular tools stack up. 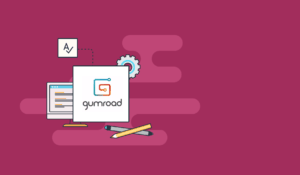 The most obvious approach was a run test with the same conditions across each email marketing software. So, we took 7,000 of the most active subscribers on the Health Ambition email list, randomized the order, and divided them into smaller lists of 1,000 each. We imported those lists of 1,000 subscribers into their respective tools and sent an email to all based on the exact same conditions (or as close as I could possibly get). We allowed 5 days before checking the results, on which we used open rate as the determining factor. Believe me when I say this was WAY more complicated and time consuming than it looks on paper, but we got there, and I believe the results were worth the trouble. As we like to do here at Authority Hacker, we wanted to include another source of data to as part of our results — just to make sure we were being thorough. I don’t want to turn this into a GlockApps review, but the tool basically tracks your emails across various inboxes and reports back with a dizzying amount of data. All we had to do was send the same email from method #2 to GlockApps provided emails, and it would track the deliverability. While I could have overloaded you with data from the GlockApps test, I decided to pull out the core data points instead. ​You can interpret both the comparison table and deliverability results however you like, but there’s still one thing we haven’t covered yet. Note: The table above represents the number of subscribers on the lowest tiered plan for each email marketing service, without any annual discounts taken into account. Despite the fact that MailChimp is one of the cheapest email marketing tools, that’s not actually why I’m naming it as the ‘best value’. If there’s one thing the pricing comparison table doesn’t show you, it’s that MailChimp offers the most generous free plan. 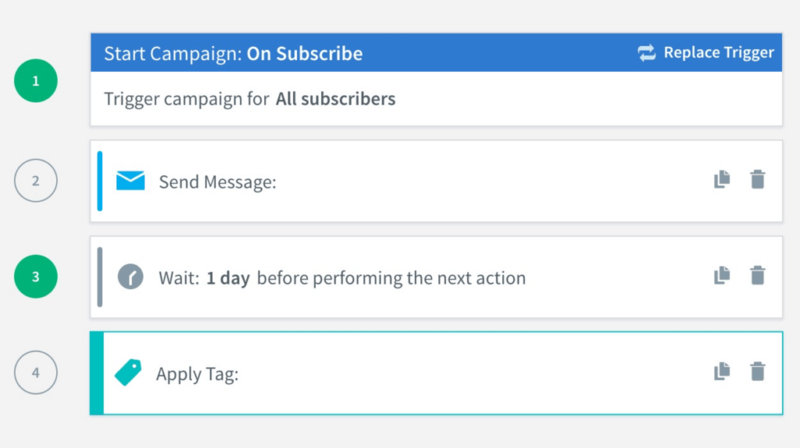 Not only does MailChimp now include automations in this plan, but you can also send out regular campaigns to a list of up to 2,000 subscribers at no charge. If cost isn’t a factor and you’re willing to pay a premium for the absolute best email marketing tool available, you probably know which tool I’m about to recommend. Not only was this the most consistent of all email marketing services across the board, but it’s also extremely powerful in the areas that matter most. As it happens, it’s also very reasonably priced, which makes it an absolute no-brainer if you’re looking to go hard with your email marketing, plus, they now also offer email AND sms messages. 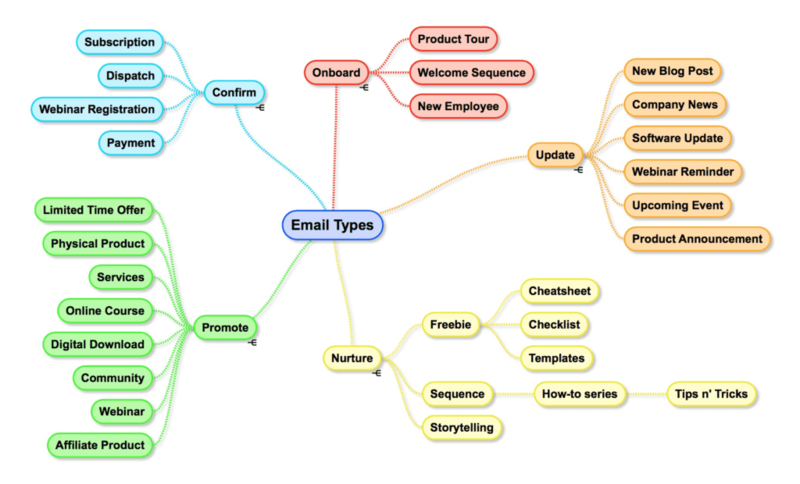 Now that I’ve compared the email marketing tools based on a number of different key factors, I’d like to finish up with a summary of each one. Keep in mind, many of these tools have dedicated reviews, and these are more like “mini-reviews” that reflect my findings in this roundup post, as well as my own, individual analysis. Note: we will continue to update this page as we publish more email marketing tool reviews. From it’s humble beginnings as a Chicago startup back in 2003, ActiveCampaign offers an affordable way for business owners to stay in touch with their contacts since all plans offer an unlimited amount of emails per month. Founded in 1998, AWeber has managed to hold a strong position in the market and currently benefits from a user-base of over 120,000. 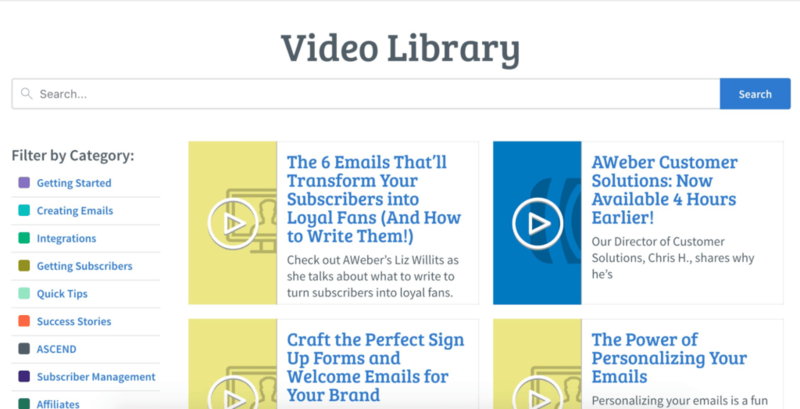 Anyone who’s been in the IM game for a while will probably be familiar with AWeber, mostly because it was the the go-to email marketing for such a long time. Constant Contact is the oldest email marketing tools in our email marketing series, with the first iteration of its tool available in 1995, eventually taking its current name in 2004. The tool is also owned by Endurance International, the same company behind large web hosting services such as Bluehost, Hostgator and JustHost. Drip is an automation-focused email marketing software, acquired by the guys behind LeadPages. It also one of the newer tools in this review series (entering the market in 2013). GetResponse is another mature email marketing service and all-in-one marketing platform, with the first iteration of the software making an appearance in 1997. Fast forward today, GetResponse is a fully fledged email marketing platform with over 350,000 customers, serving both small and large businesses alike. MailChimp started it’s life back in 2001, and has since grown to a ridiculous 15 million customers — making it currently the world’s most popular email marketing service. 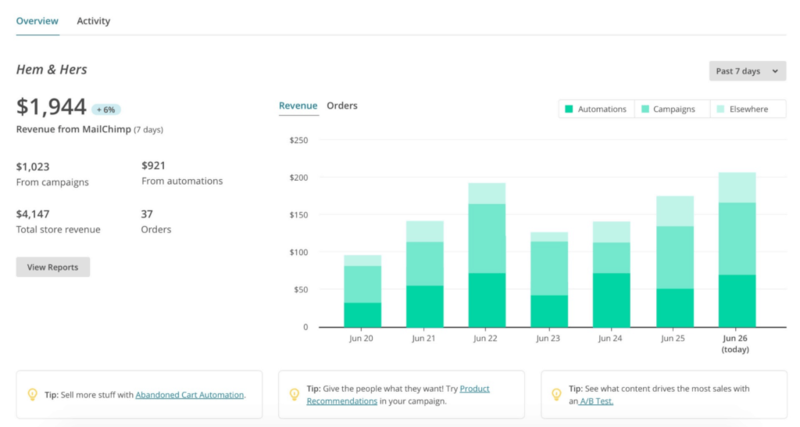 The tool offers everything from sending emails, setting up automations and running targeted campaigns to your email subscribers, seemingly everything you need to grow your business with email.